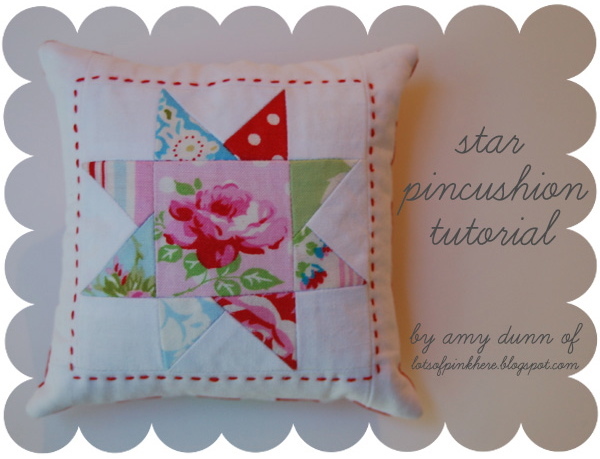 star pincushion tutorial | lots of pink here! We will be using a 1/4" seam allowance throughout!! A 1/4" foot is VERY useful here! You should have a pile that looks like this! The sashing is not pictured because I cut mine to length as I go. Next, we will start making the points of the star. On the WRONG side of each of your 8 pattered, 1 3/8" x 1 3/8" squares, draw a line from one point to the opposite point. This will dissect your square in two. 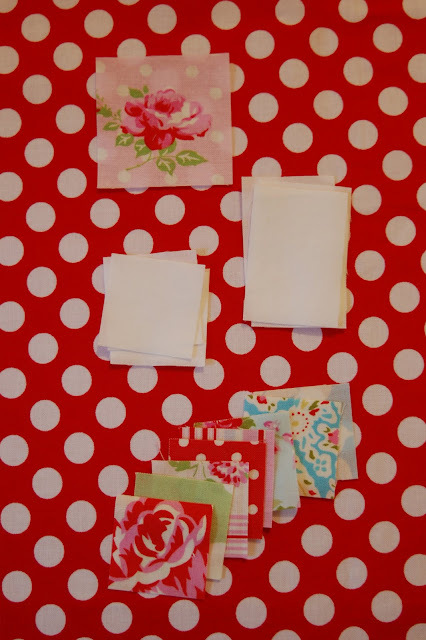 Organize your patterned squares into 4 sets of 2. 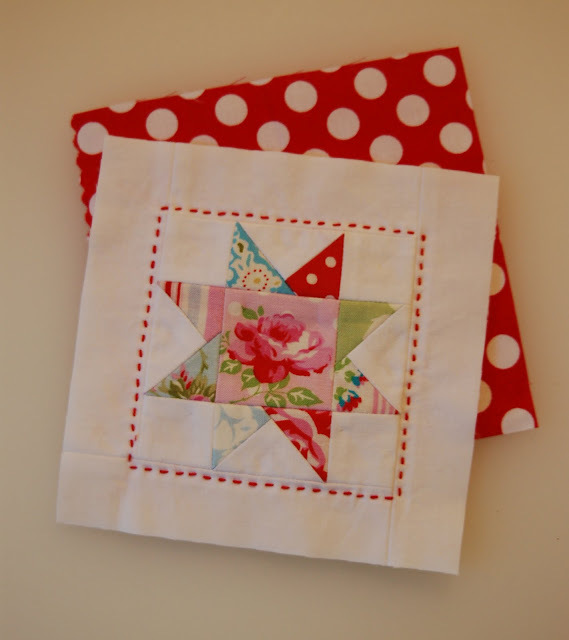 As you will be using 2 squares per rectangle you will want to arrange them in a pattern that you like. Take your white rectangles and four of your patterned squares. Place one square in the corner of each rectangle with right sides together. Sew on the line that you drew above. Then trim off the point 1/4" from the line you just sewed. See below before you cut!!! Now press your seams open or to the side, whatever you prefer. Repeat with the other 4 rectangle and square sets until you have this! 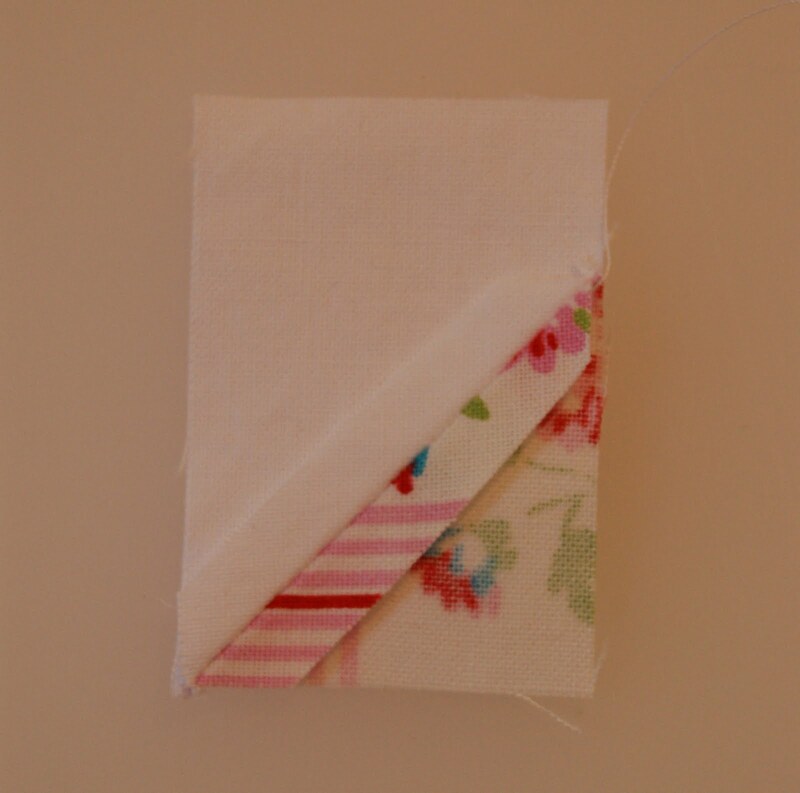 Again sew on the pencil line, trim off the corner (1/4" from your sewn line) and press your seams. You should now have 4 flying geese!! Now you are going to want to arrange these 4 geese around your center square in whatever order you like. Now, sew the left and right geese on either side of the center square. We are now going to sew the star together. This is where you are really going to want to pay attention to matching up your seams and pinning very well! When I am trying to match seams, I always pin on either side of the seam. It may seem like overkill but it really does make a big difference!! Repeat this step with the bottom piece as well. Your star is finished!!! Now we need to add sashing. Start on any side you like and sew on your first piece of sashing. Trim off the edge of the sashing flush with your star block. Press your seam. Continue on around your block in a counterclockwise direction. Carefully trim off your sashing flush with each edge before ironing your seams. Trim the batting to the same size as your pincushion top. Get your backing piece and trim it to the same size as the top, if necessary. Place the top and bottom pieces of the pincushion right sides together. Pin all around the pieces. I pin so that I can sew with the top facing up, just so that I am sure that the top will be the most accurate. 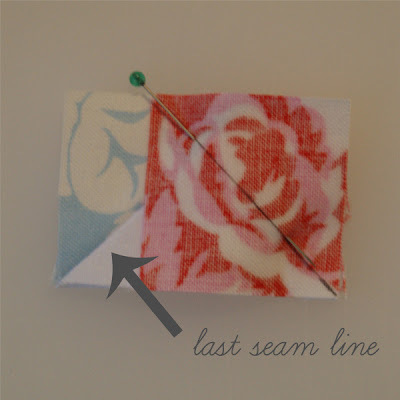 Make sure that you mark a section (about 2") to leave open so that you can turn your pincushion right side out. Now sew around the entire piece (except the 2" that you marked to leave open!) with a 1/4" seam allowance. Make sure that you backstitch at the beginning and end. Now turn your pincushion right side out and gently push out the corners with a chop stick or turning tool. Stuff your pincushion and slip stitch (great slip stitching tutorial by keyka lou) the opening closed. Yea, you are all finished!!!! I hope you have enjoyed this little tutorial and I would LOVE for you to add photos of your pincushions to the lots of pink here tutorials flickr group!!! Please let me know if anything is unclear or you see a correction that needs to be made, thanks so much! Amy, thid pincushion is so adorable. And your instructions are very clear and easy to follow. Thanks for tons of pictures, too. I'm looking forward to making one of these cute guys. Great job. Yay! We get the tute a day early! I cant wait to try this out. I only have a 3/8" foot but hopefully I can make some adjustments to the cutting and it will all turn out fine. Cant wait to try this! Thanks Amy! How fun is that!! I'll be making one this week or weekend depending on life around here.haha.h.a. So cute, Amy! Can't wait to make one. Love your fabric combination, great little gift too! You have the best detailed tutorials. I love this pincushion - especially the little hand stitching in contrast red - and of course - the dotty backing fabric. Thank you for this tutorial! I love my little pin cushion. I made one for a gift and had the hardest time giving it away. I'll be making many more. 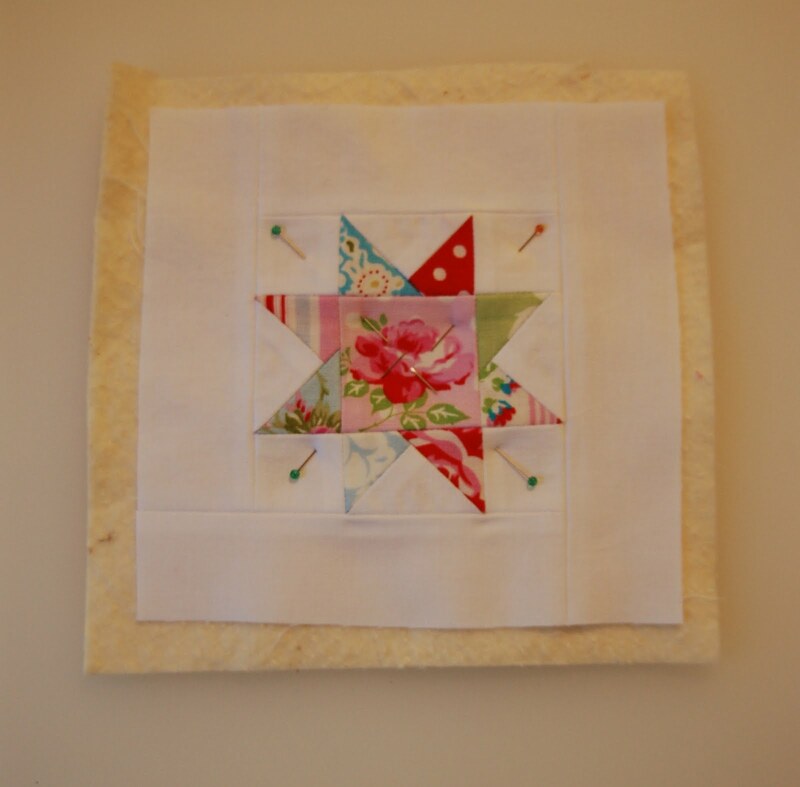 Love the pincushion tut.Could you send me a PDF so i can print it off?Very Grateful for that in advance.